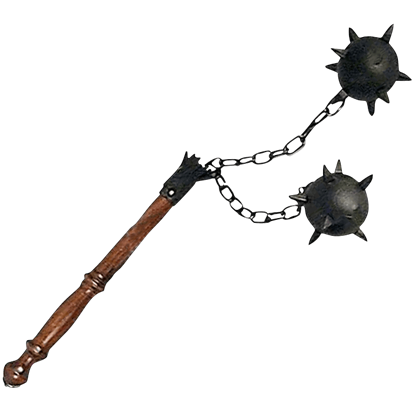 One of the most distinctive weapons of the Middle Ages, the medieval flail featured spiked balls or weights at the end of a chain attached to a wooden handle. At Buying a Sword, we offer an array of decorative and functional flails. Our decorative flails make unique collectibles for weapons enthusiasts to enjoy, while our functional flails are battle ready weapons for reenactment. Our ornamental flails are great as display pieces for your home or office or as costume weapons to wear at Renaissance fairs. Both our decorative and our functional flails are made of high quality materials that are sure to impress in their respective settings. Owing its genesis to the medieval corn-threshing implement, the military flail was a fearsome weapon with its ability to reach out to a distance far exceeding the length of its shaft, its iron weights travelling at lethal speeds. 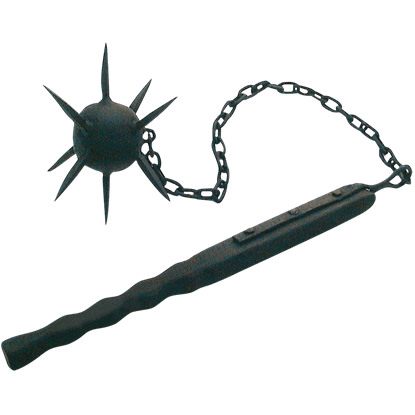 This flail has a heavy spiked ball made of cast metal to look more authentic. The Medieval One Ball Flail has an overall length of 18 inches. 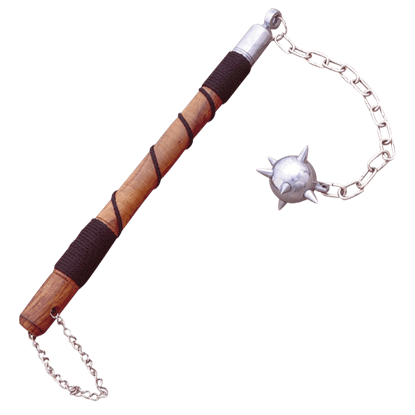 The medieval flail has a wood handle wrapped in cord and a chain attached to a spiked ball. 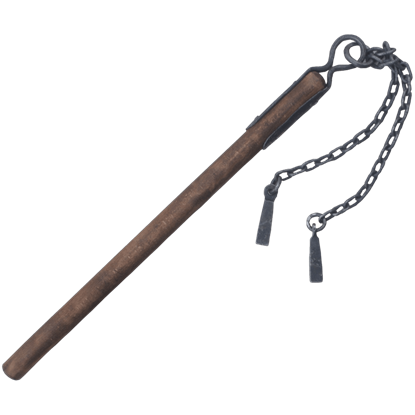 This medieval two ball flail has been crafted in Italy and has an overall extended length of 25.5 inches. 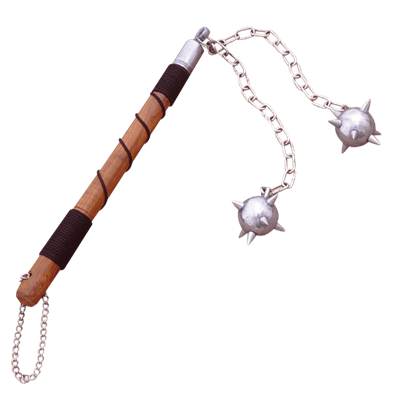 This impressive flails handle and two balls are made of wood, while the chain and spikes are metal. This flail has two spiked balls made of cast metal to look more authentic. The Medieval Two Ball Flail has an overall length of 18 inches. The medieval flail has a wood handle wrapped in cord and two chains attached to spiked balls.